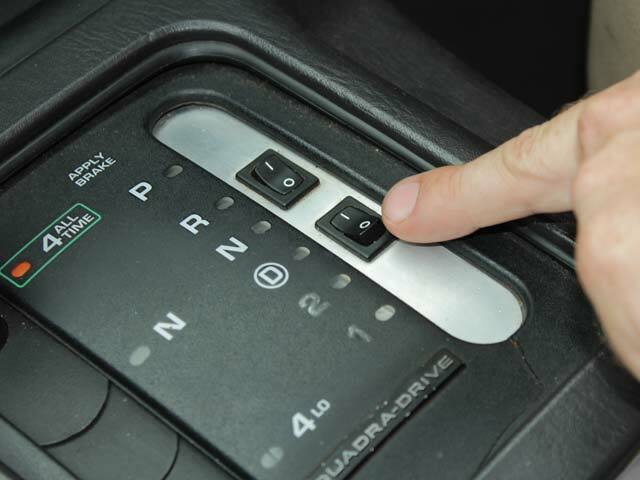 English switches on the inverter before hitting the road. 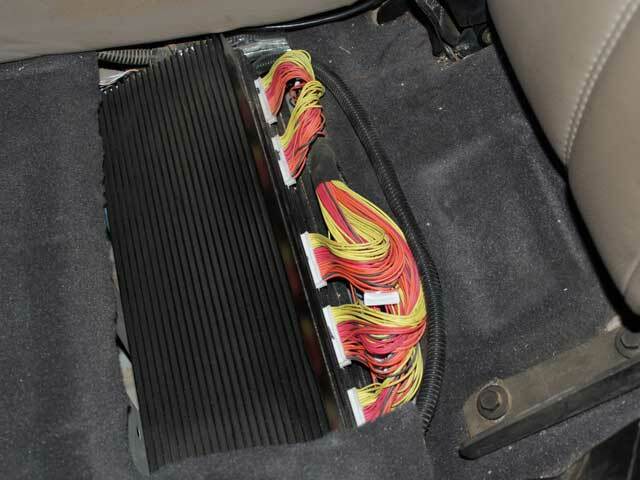 The new BMS (battery management system) under the rear seat. The HMI (human machine interface) allows English to monitor various drivetrain parameters in real time. 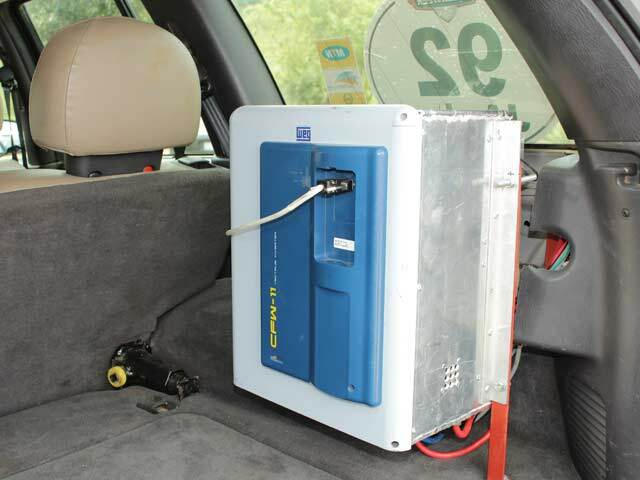 The rear battery bank, comprising 110 lithium iron phosphate cells, lives in the spare wheel well. 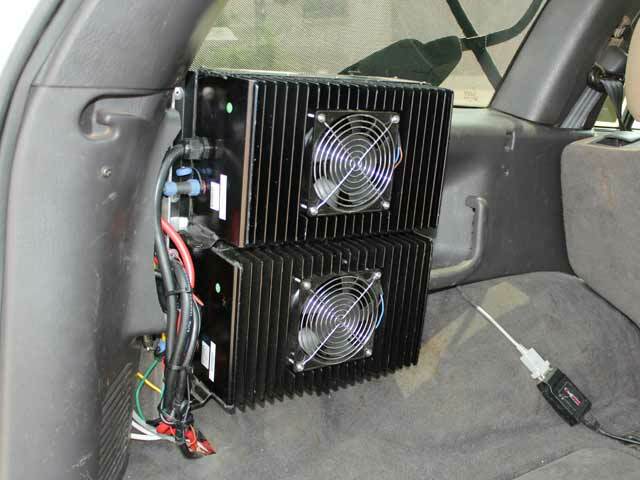 The modified inverter converts the batteries’ 600 V DC current to 3-phase 380 V AC. The two 2,5 kW on-board chargers, replenish Freedom1’s battery banks in 8 hours on 220 V mains. The 70 lithium iron phosphate cells housed under the bonnet along with the new permanent magnet motor weigh the same as the removed ICE and gearbox. The WEG 3-phase 380 V AC permanent magnet motor in position where the gearbox was originally housed. 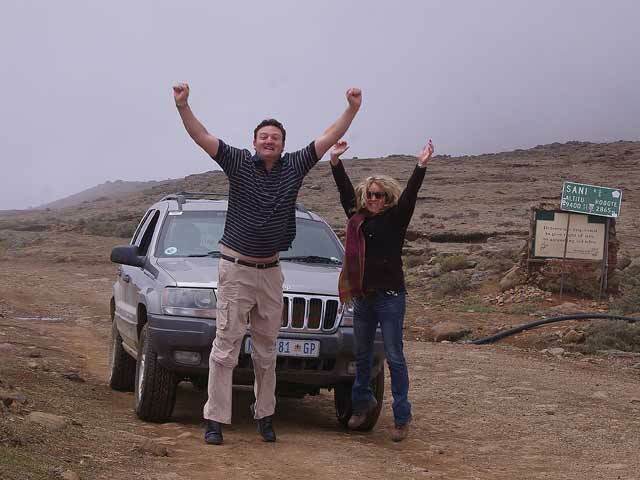 Antony English and Lizette Kriel celebrate conquering Sani Pass in Freedom1. The commute can be a killer – for your wallet, that is. Frustratingly, for most of us there is no practical alternative. 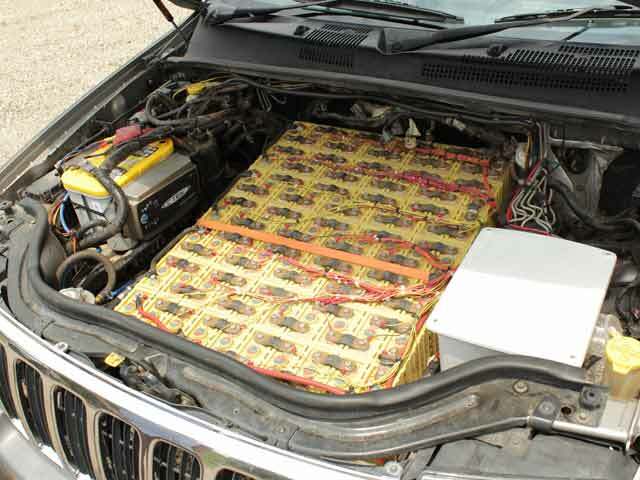 So Antony English decided to take matters into his own hands: he converted his Jeep Grand Cherokee to electric drive and slashed his running costs to an amazing 12 cents per kilometre. This kind of thing seems to come naturally for Gauteng electro-mechanical engineer English. With a background in mining industry project management, this self-described tinkerer was well suited to tackle a project most of us only dream about. The results speak for themselves. His creation (dubbed Freedom1) has clocked up an impressive 35 000 km of fuel-free driving in two years. On the daily 120 km round trip from his home near Kromdraai to his Centurion office, he has run out of juice only once. And he blames that on his own over-confidence. 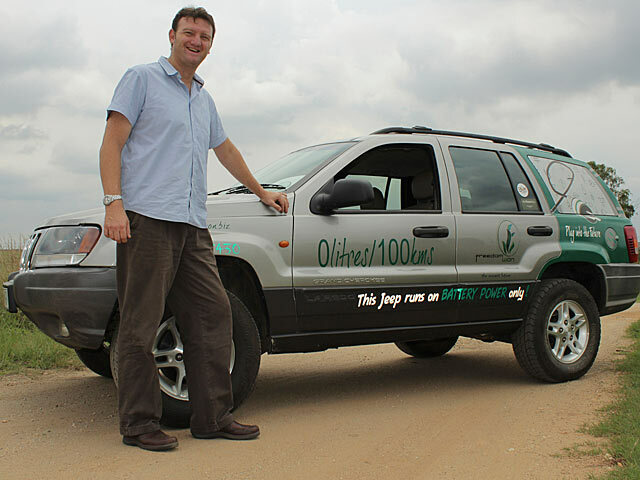 “I was driving to Bronkhorstspruit to collect biltong and was going too fast for the range I wanted,” he confesses. For the mortified English, the result was a tow home and a valuable lesson in what driving an electric vehicle entails. Happily their range anxiety didn’t last long. After much experimentation, English established that, when travelling between 90 and 100 km/h, Freedom1 is capable of covering 170 km. That drops to around 140 km when driving closer to the national limit. An idealist at heart, English first began thinking about weaning himself off fossil fuels back in 2003. But it was only when he was busy with a case study for his MBA in 2005 that he began to take it seriously. “Although I knew it was a concept that was ahead of its time, I realised electric vehicles would eventually become the future and I wanted to design my own,” he says. Physical work on Freedom1 began in 2009. First to go was the engine, then the automatic transmission. “The gearbox is totally unnecessary. 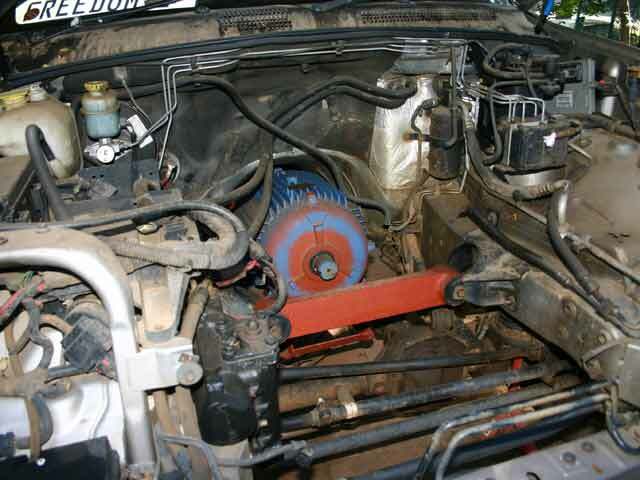 It wastes energy, adds unwanted weight and takes up too much valuable space.” One thing that did remain was the transfer case: English wanted his vehicle to retain its 4×4 functionality. English sourced his batteries from the same place everyone else does: China. He chose 60 Ah lithium iron phosphate cells for their inherently stable chemistry, which is not prone to “thermal runaway” like lithium polymer. 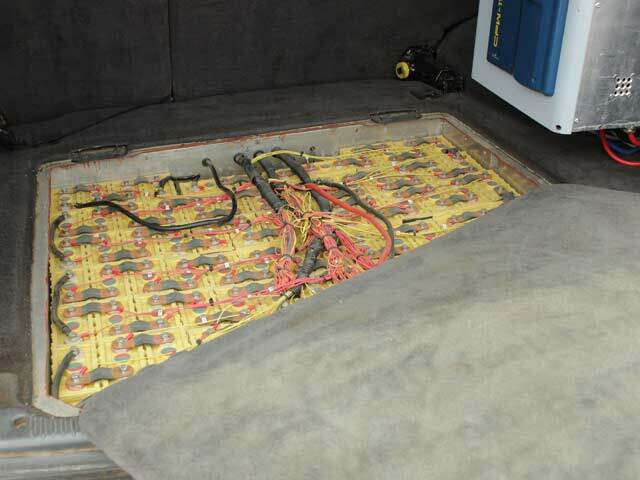 He built the battery banks (wired in series) himself – locating 70 cells under the bonnet, and the remaining 110 under the floor of the boot where the spare wheel once was housed. 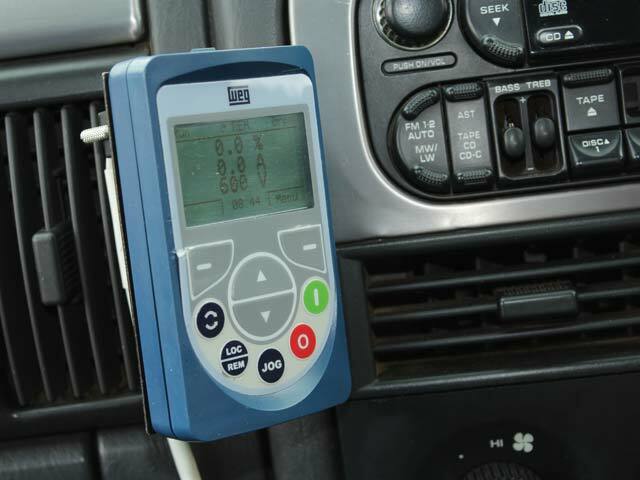 Other features he implemented include an HMI (human machine interface) – allowing monitoring of various drive chain parameters, regenerative braking, an electrically driven hydraulic pump for the power steering and a vacuum pump for the brakes. Besides the pleasure of having created Freedom1, English has had a blast simply turning people’s heads while driving it. Last year, That 4×4 Show on DStv featured Freedom1 conquering Sani Pass. It won the Top Speed and Endurance categories in its class at Kalahari Eco-Speed Week and, last December, it took Chobe Game Lodge in Botswana by storm. Lithium iron phosphate LiFePO4 batteries are used in power tools and electric vehicles because they are less susceptible to fire than lithium polymer batteries. However, they have a lower energy density. Popular Mechanics plays with Nintendo Labo!